Everywhere across the world, people learn. 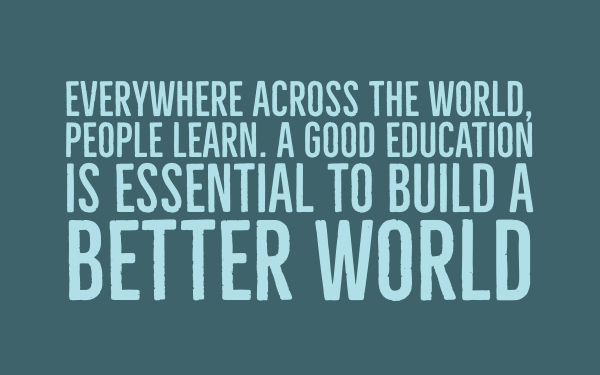 A good education is essential to build a better world. We learn from each other, from teachers, from our parents, … And sometimes it’s even better to learn from other cultures, other countries, and other languages: to learn from other students. In this blog post I’m showing you how you can set up a connected classroom across the world. 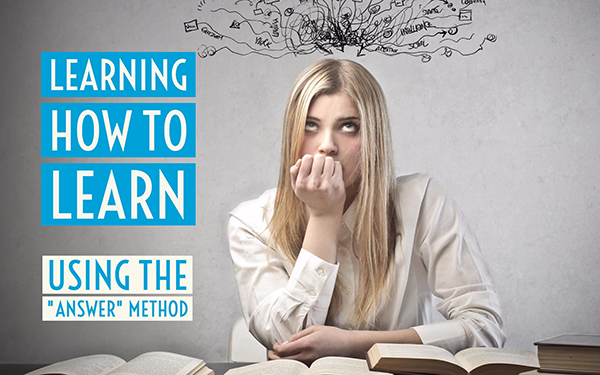 What are the benefits of global learning and what apps can you use? Keep on reading to find out. I’m going to talk about that last one: how can you set up a global learning program in your classroom, and what projects would be interesting for your students to learn? An international classroom has many benefits: students learn new things on an emotional, educational and cultural level. Getting students to talk to students in other cultures, with other habits and thoughts that are very different. might be a little bit scary. However, it appears that students talk more about the similarities they have, than the differences: the songs they like, their favorite food, the things they enjoy, … It humanizes the situation, and they get the chance to talk to other students they wouldn’t have been able to talk otherwise. Becoming an adult involves developing skills that are necessary to play a functioning role in society. Students need to be independent, manage their time, organize, have social skills, be self-confident. Students that have grown up learning in a global classroom have a very tangible advantage to other students: setting up meetings with the others students in the other, international classroom comes with some planning and communication. It teaches them things, they weren’t even aware of. The first few questions students ask each other will sound silly, but if you let them dig deeper, you’ll see some extraordinary things coming out of your students' mouths. The little questions lead to bigger questions, and send students down exciting paths that can lead to bigger, global, project-based learning opportunities and other projects. The world is enormous, and has many secrets and things we just don’t know. There is a huge value which comes from immersing students in a culture. Interacting with local students and understanding the way they live can be really eye-opening. It’s not all about just connecting. You want your students to learn something, and you want the other classroom on the other end of the screen to do the same. So let your students become the experts about certain topics about your country. Let your students teach the other classroom, and the way around. Looking into the other “world” stimulates open-mindedness and quells prejudice. When your students connect with a classroom in, for example, Africa, that gathers in a traditional hut, they see what real students and real teachers look like in a far away place. They also learn that their fellow students are in need of books or other classroom material. Just like that, the students spent a year gathering enough books for every student in the school. Friendships are built and projects come to life. Probably the most known digital video system there is. Use Skype to connect with international classrooms. It’s easy to set up and you only need an internet connection. You can share links, share your screen ad chat with the other classroom as well. Zoom more or less does the same as Skype, although it’s more used to connect a lot of people with each other. With zoom, people or students from all over the world can log in and start talking to each other. It’s mostly used as a webinar system, but it’s quite valuable for this purpose as well. Epatico is a free tool that connects classrooms across the world. They want teachers and students to explore the world through experiences that spark curiosity, kindness, and empathy. Empatico combines live video with activities that foster meaningful connections among students. This tool includes automated matching between global classrooms and has features that allow you to chat and schedule across time zones. Padlet allows students to post messages, links, images and much more on a board. Whoever opens the board can see what the other students post on it. You can see the board change live. It’s the perfect app for collaboration assignments across borders. Oddizzi is an online geography resource for primary schools. The website provides high-quality primary geography resources. They want to inspire children with a deep and lifelong love of the subject. Oddizzo aims to help specialist and non-specialist teachers deliver exceptional lessons. And to do so, they connect children with other classrooms and with specialists in the field. They tell their own unique stories. PenPal gives your students real students to talk to in another country. You can also participate in projects with your students. These projects give students some guidelines and assignments. They have to talk about it with their PenPals on the other side of the screen. ePals connects you with teachers and their students. Find the perfect classroom with the same interests, same age,… You can search for a classroom that is the best fit for you via the search filter. It will show you all the teachers that meet your requirements. This website gives you the tools and feedback to become a good writer. Here, students learn to write well by building a portfolio of their work. Students can enter competitions and challenges so they get feedback from authors and other writing teachers. 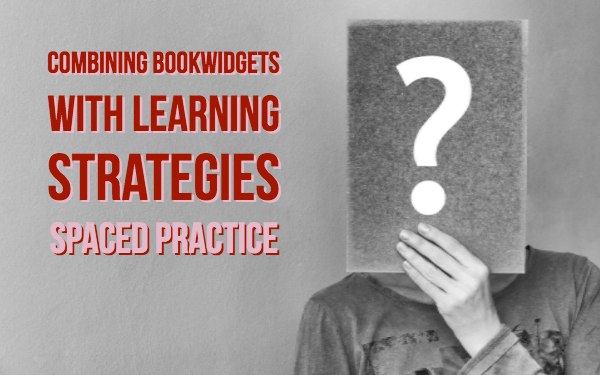 BookWidgets is a digital content creation app for teachers. As you want your students and the other students to make the same exercise, applied on their different circumstances, you’ll need to be able to share this work. 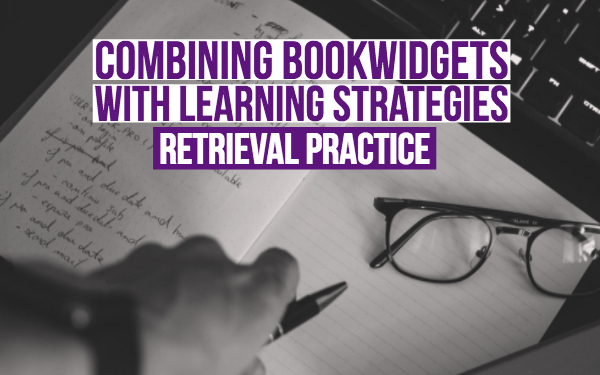 Just create an exercise in BookWidgets and share the link with your students and the international classroom. 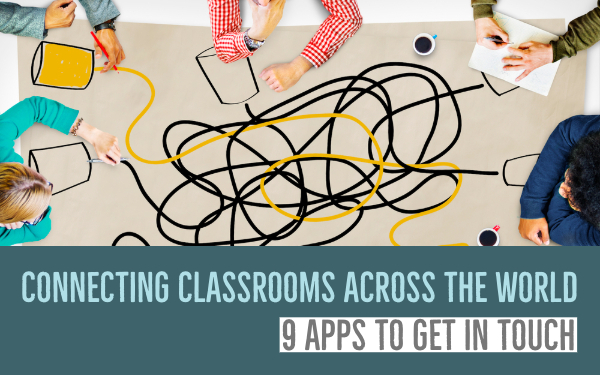 I hope the benefits of global learning and these useful apps help you set up your connected classroom. I’m sure your students will learn a lot from other students.